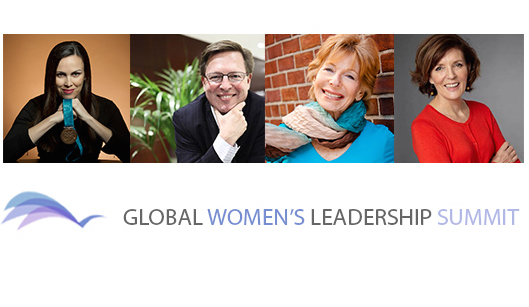 I’m proud to be a Partner and Ambassador of the Global Women’s Leadership Summit (GWALS). The full summit starts this Monday, October 19th! The Global Women’s Leadership Summit is the world’s largest online professional development event for women, and takes place October 19th-30th, 2015. The summit provides over 50 live and interactive training sessions with world class leadership experts over a 2-week period, making it the largest and most concentrated advancement event for women in the world. It’s easy to participate! The sessions are online so you can attend where-ever you are. Join women from around the world! The pre-summit (completed last week) experience was an amazing taste of what’s to come. I’ll be hosting some fabulous sessions including: Gloria Feldt, President and Founder of “Take the Lead” – who will be talking about ‘gender bilingualism’; Kim Ades of Frame of Mind Coaching and Journal Engine. I know Kim to be an extraordinary coach, thinker and leader. She will talk about the powerful thinking habits of extraordinary leaders. In her 60-minute Summit Opening Session, Gail Sheehy will share the stories she has written of some of the world’s most notable women leaders. In this interactive discussion with Gail, you’ll learn about the powerful feminine qualities (and masculine allies) that have helped women like Margaret Thatcher and Hillary Clinton rise into leadership. She’ll share how young women are daring to launch start-ups in tech that are “run like a girl.” And how senior women corporate leaders are making the passage into encore careers of social significance. From the angle at which you face others to the shape of the room and the sound of your voice, you emanate a presence that is never neutral. With advances in ways to study behavior, we have discovered over 50 largely hidden behavior and contextual cues that affect how others feel about you. TED speaker, Emmy-winning former NBC and Wall Street Journal reporter turned Forbes and Huffington Post columnist Kare Anderson has spent the past decade translating research into ways to become more likable, trusted, widely-quoted and sought-after. CHECK IT OUT AND REGISTER HERE! HOPE TO SEE YOU THERE!